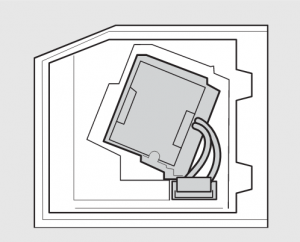 Need to install a replacement KDS-55A2000 TV Lamp? Let this guide help. Don’t settle for anything but the best and be sure to an authentic Sony KDS-55A2000 TV. When buying look for the seal of approval — don’t get caught with a counterfeit lamp. They have shorter lamp and are more toxic due to the substitute materials used by counterfeit manufacturers. These lamps often don’t work properly with the sensitive electronics in your projector and are prone to explosions. Keep your projector working properly and invest in an authentic projector lamp. Your Sony KDS-55A2000 TV lamp should last up to 8000 hours depending in usagfe and the environment it works in. It’s time to replace the TV lamp when the screen becomes darker, or if brightness starts to diminish gradually and the colors look wrong. A message will also appear on screen asking you to replace the lamp and the LAMP LED on the front of the TV starts blinking. 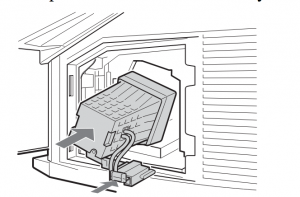 Unplug the AC power cord on the KDS-55A2000 TV . 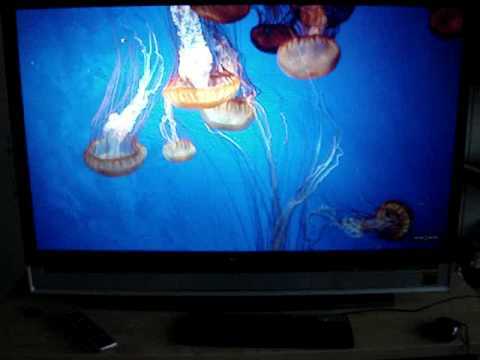 Your Sony KDS-55A2000 uses the Sony XL-5200 Replacement TV Lamp. Before installing the lamp, let the projector cool for at least 40 minutes. It should be cool to the touch. Don’t rush the cooling as these projectors operate using extremely high temperatures and you run the risk of a serious burn. 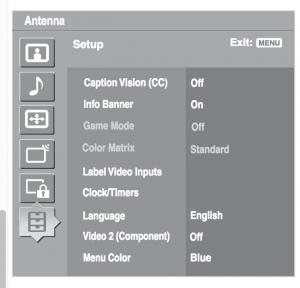 Turn on the Sony KDS-55A2000 TV and set the Lamp Replacement option in the Setup settings. This setting is necessary to inform you when the next lamp replacement is needed. Until you set the Lamp Replacement option, a message announcing that the lamp is at the end of its life will appear every time you turn on the TV.